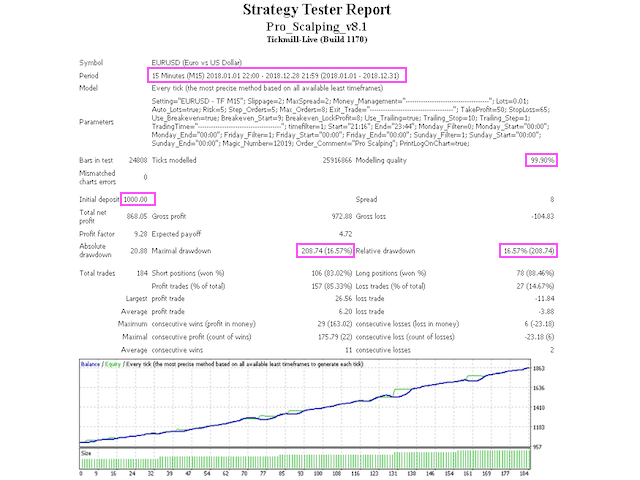 Pro Scalping is a fully automated Expert Advisor. 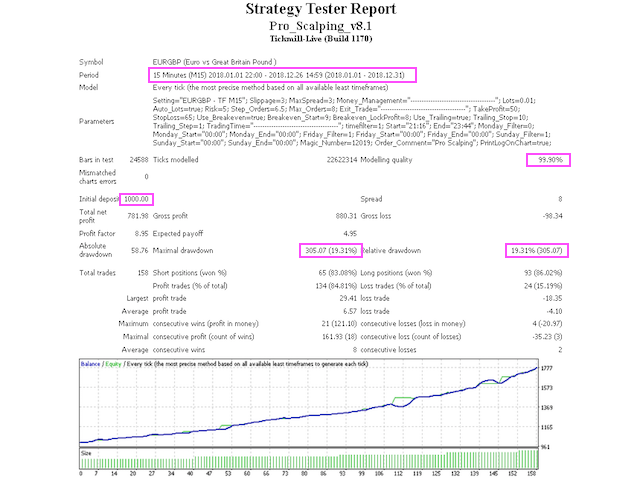 Night scalping strategy. 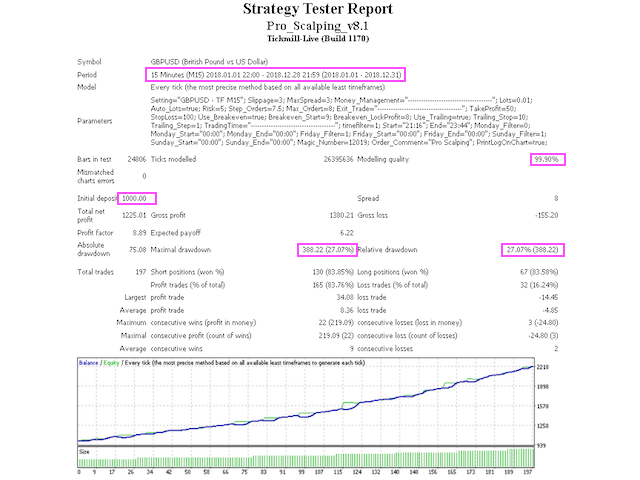 The ATR-based, RSI, WPR indicator and an Stochastic filter are used for entries. The minimum deposit is 100 USD, default settings reccomend for EURUSD M15 GMT +3. Please use max spread 2 if you will not have orders change it to 3.Use a broker with good execution and with a spread of 0-5 points. A very fast VPS is required, preferably with a latency of no more than 3. + Withdraw interest on Friday every or Monthly or week or every day. 1. Divide your available capital in 2 parts and invest in this robot the 1/2 of it (robot funds). 3. Withdraw your profits every Friday afternoon or Monthly. 4. After each withdrawal divide all your available capital (back up funds + robot funds + withdrawn funds) in 2 parts and start fresh with the 1/2. 5. Repeat this process and you will be in profit. RSI - period, upper and lower levels of RSI. STH - period, upper and lower levels of Stochastic. WPR - period, upper and lower levels of WPR. Print Log On Chart: enable/disable Log On Chart.